Drug users need help, not prison. My response to this is to agree that those addicted to drugs need to be given help; however I think we do need to punish, as well as help, those who commit crimes while addicted to drugs or alcohol. We should not let those who commit crimes while on drugs or alcohol off with lesser punishments than those which would apply to others (A recent example where this happened in Cambridge); sentencing aims to protect the public and punish, deter and rehabilitate the offender, we have to do all those things, not just one of them. What do you think? Should we stop locking people up for possession of drugs? Post your comment at the bottom of the article. Julian Huppert’s stance appears to be based on the premise that at the moment we jail people for the possession of small quantities of drugs for personal use. We don’t. The Magistrates Court Sentencing Guidance states that only in serious cases of individuals possessing large amounts of illegal drugs should prison be considered. If we relieve the police from hunting down relatively small players and allow them to go after organised criminals we can be more effective at cutting out supply. I am glad Mr Huppert is suggesting changing what the law requires the police to do, rather than asking the police to change their internal policies. I think the latter is a dangerous road to go down as it may lead to the police arbitrarily determining who to act against and who not to. It’s important that everyone is treated equally by the police under the law. I think the focus ought be on helping those who have an addiction problem and on reducing serious crime such as burglaries and assaults committed by drug users. I would also like to see a society where harmful drugs are not easily accessible. I think the state has a role in protecting people from doing harm to themselves. In an ideal world everyone would be highly educated with access to the best information to make a personal judgement away from pressure from others, in such a utopia we could take a liberal approach and allow individuals rather than the state to decide what, if any, recreational drugs to take. We’re not however living in such a society. At the moment I think one of the key differences between using alcohol and using illegal recreational drugs is the availability of information and education. The difference between a pint of beer and a pint of vodka is clear, and their respective health impacts generally understood by the population. The same cannot be said of illegal recreational drugs. I fully support Julian Huppert’s calls for commission to be set up by the Government to carry out an evidence based review into what a proper policy should be. I would like to see that commission to assess the health risks to users of drugs and consider how they can be minimised; and seek the best ways of reducing the impact of drug related crime on wider society. I think it would be useful if the review was able to access magistrates’ court registers which record the sentences handed down for drug related offences so that the starting point would be an accurate picture of the current position. While the review should present what the best evidence we have tells us, there will still, almost certainly be areas in which judgements need to be made. There will always be areas where we don’t have as much information as we would like. A good report would highlight what those areas are and recommend a rational approach, or even provide and evaluate various potential alternative stances. Ultimately however good the review it is right that any recommendations are considered and approved, or not, by elected politicians. Where people need medical help with tackling their addictions that ought be easily accessible, committing a crime and ending up in court shouldn’t be the easiest route to help. I think in all cases involving drug use by addicts the courts ought have the option of including a drug treatment order as part of the sentencing, I think the sentencing guidelines ought be updated to stress this option and probation services ought be more open about what the treatments on offer involve. I think courts need to be able to, and should, take into account, and act on, any involvement of drug use or addiction in a particular set of circumstances. Another tweak to the sentencing guidelines I’d like considered is making supply of drugs on university campuses an explicit aggravating factor. I would not though like to see drug treatment courses being used in an analogous way to driver education courses for those caught doing 34MPH in a 30MPH limit are now. There’s a potential risk of things like that winding people up and irritating them with little benefit which I think needs to be avoided. If, as Julian Huppert is calling for, the police and courts cease to take an interest in small scale drug use then users are likely to come to court only if they commit other offences. It may then be that only those who need to turn to criminality to support their drug use end up in the courts and being required to attend treatment. I am concerned about those who are damaging their health through the use of illegal recreational drugs, who are not otherwise criminal, and wonder how the changes might impact that group. Mr Huppert made his remarks following a two day international drugs conference hosted by the All Party Parliamentary Group on Drug Policy Reform of which Huppert is one of the vice chairs. Julian Huppert Calls for Legalisation of Drugs – My report on Julian Huppert’s June 2011 Question to the Prime Minister. The image illustrating this article, at the jaunty angle, is taken from Huppert’s website. The Cambridge News also take this image, tilt and all, and regularly print it in the paper. Dutch angles were used extensively in the original TV series and 1966 film of Batman, where each villain had his or her own angle. Scenes filmed in any villain’s hideout, when only the chief villain and his or her henchmen were present, were invariably shot at an angle departing extremely from the horizontal. This was to show that the villains were crooked. One wonders if Huppert’s webdesigner was seeking to make some kind of subversive point. I’ve sent letters for consideration for publication to the local press on this. I’m writing in response to the article headlined: “MP says drug users need help, not prison”. Cambridge, like many places in the UK, is blighted by those who commit crimes, which are often serious and violent, while addicted to illegal drugs. Our police and courts spend a lot of time dealing with those who commit drug related crime. Simply helping these people is not in my view enough; sentencing has a number of purposes including protecting the public, punishment, deterrence and rehabilitating the offender. I think we have to do all those things, not just one of them. The best thing for addicts’ health and lives, as well as for everyone else, is to get people off drugs and out of the environment and way of life associated with their problems. Sentences for crime relating to drug addiction should include treatment orders but they shouldn’t be the only element of the sentence. We also need to ensure that the easiest route to treatment isn’t committing a crime. 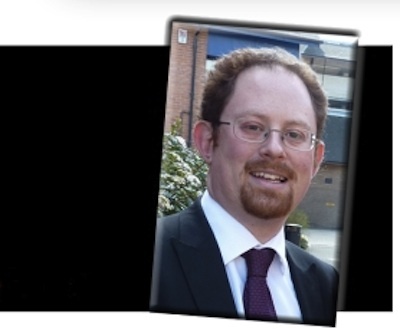 Our local MP Julian Huppert has recently been reported as saying drug users need help not prison. I disagree with the premise of our MP’s remarks as currently we don’t routinely jail people for the possession of small quantities of drugs for personal use. Drug users do though end up in court regularly, often when they have committed serious, sometimes violent, crimes. I don’t think we should hand down lesser punishments to those who commit crimes while addicted to, or under the influence of, illegal drugs. Sentencing must in my view continue to aim to keep the public safe, punish the offender, deter people from committing crime and rehabilitate. While I think it is clearly in the interests of the offender and wider society to treat drug addiction, I don’t think a treatment order ought be the only element of a sentence when a crime is committed by a drug addict. The level of drug related crime, and the amount of time our police spend dealing with drug addicts, is testament to our current drugs policy clearly not working. Our MP is calling for the government to carry out an evidence based review designed to inform a new approach; I support that and agree it is needed. Although I have a lot of sympathy with where our MP is coming from, your sorry tale from court about the Willow Walk resident illustrates that the problem is not so much that we are punishing rather than rehabilitating, but that we aren’t really doing either. Taking drugs is illegal not primarily because the state wants to stop people taking drugs (although it may be concerned with the health consequences) – it is mostly illegal because it tends to lead to addiction and then cause people to do things that other members of the public need protecting from, like thefts, random assaults, or causing others to be lured into similar addiction. For the Willow Walk resident, yes there was a lack of punishment for their crimes, but no lack of public cash being spent ‘helping’ them. Despite this, at no point in the whole fantastically expensive system does anyone say to the drug addict that they are ultimately responsible for their own actions, and if despite help to solve their undoubtedly serious personal problems they fail to respond to rehabilitation efforts and are still causing serious problems to society, they will be punished. Prison is already a last resort, but for unfathomable reasons appears to be singularly useless as rehabilitation. If people can go to prison, still have access to drugs, and the only education that has improved in the meantime is how to commit crimes, then when they leave prison, again without adequate support, its clearly going to look like prison hasn’t worked. Yes, focus on treatment and rehabilitation, but if this isn’t working and serious crimes continue, then prison must be inevitable, it must be drug free, and genuinely help people rebuild their lives. This will doubtless be more resource intensive and cost more cash in the short term, but must be more effective in the long term. I agree that if a situation is so serious that prison is the proportionate option then it should something which as well as depriving the prisoner of their freedom effectively rehabilitates. One interesting idea is smaller local prisons for those serving shorter sentences. The Liberal Democrats have a policy of supporting these for women I disagree with such discrimination but think they would be worth experimenting with for both men and women. The Cambridge News published the above letter on the 23rd of November 2011. Impressively they included the web-link to this article too.